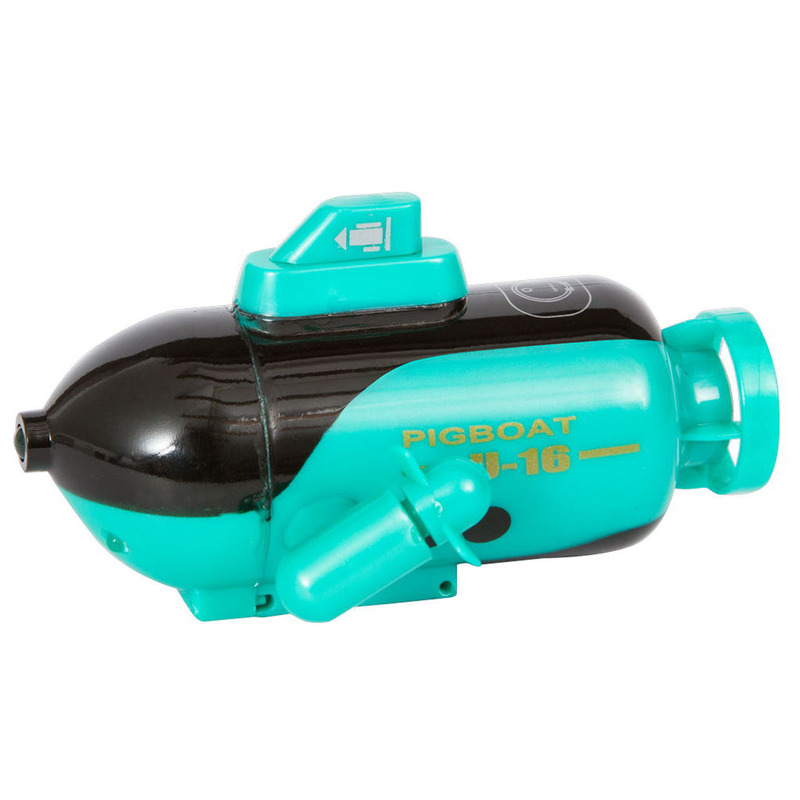 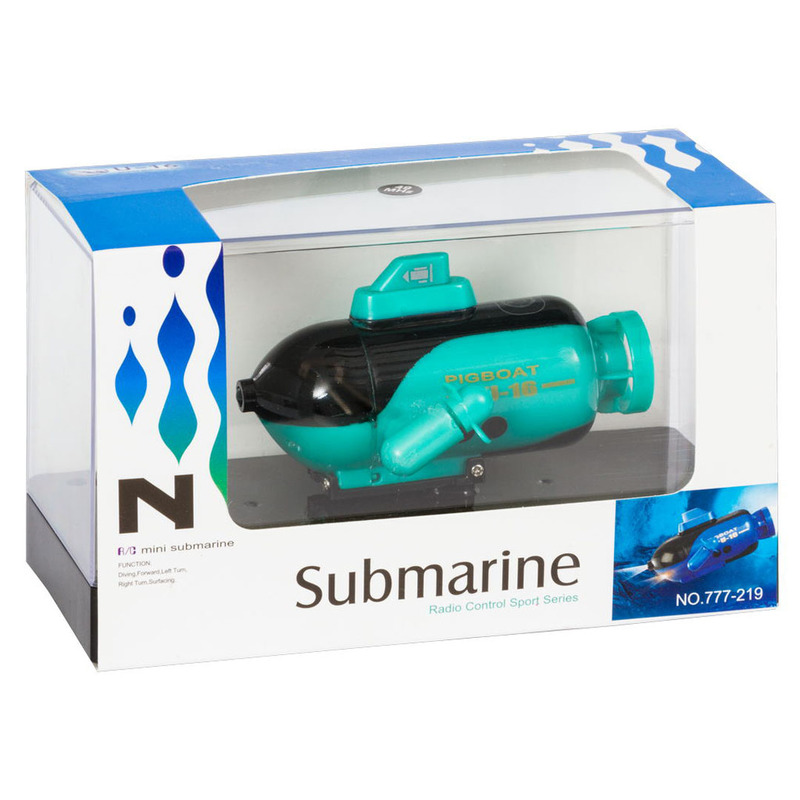 Our alluring R/C Mini Submarines provide hours of entertainment for kids and adults. 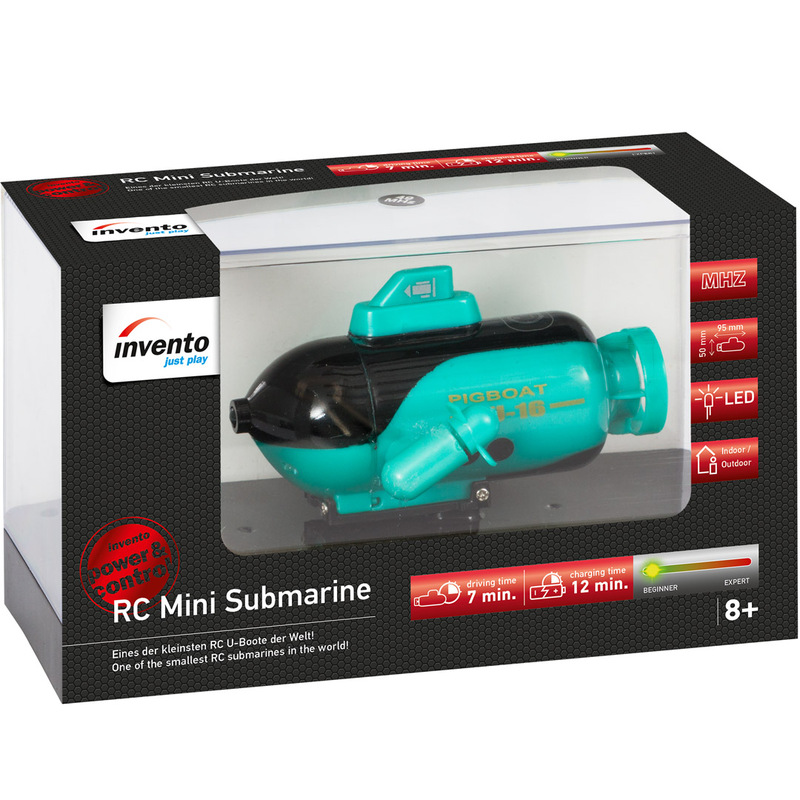 Enjoy the fun of underwater exploration with our R/C submarines. 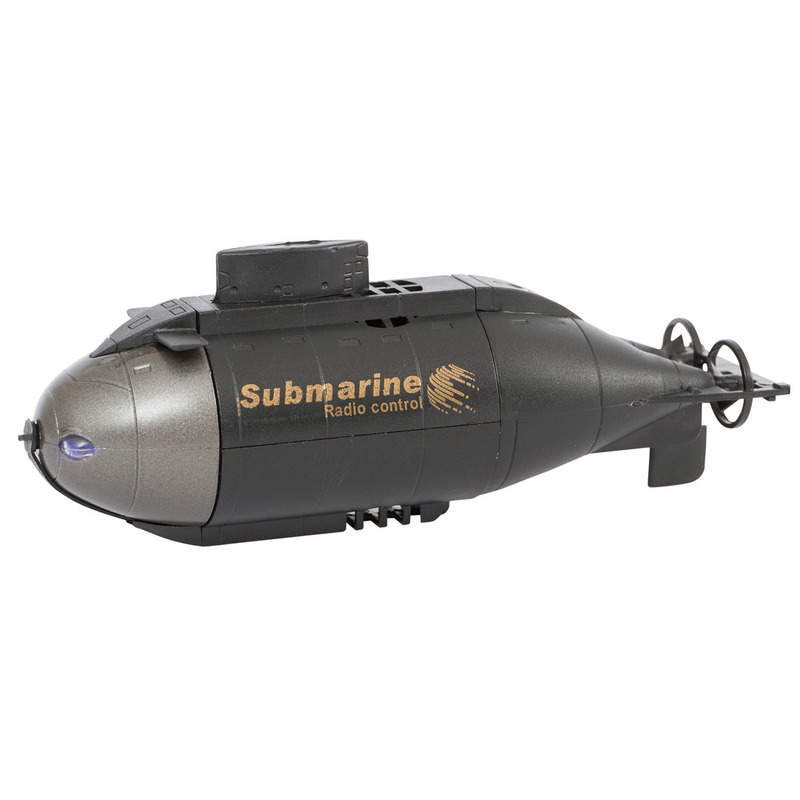 The size of these submarines allow operation in a pool, bathtub, or even a bigger aquarium. 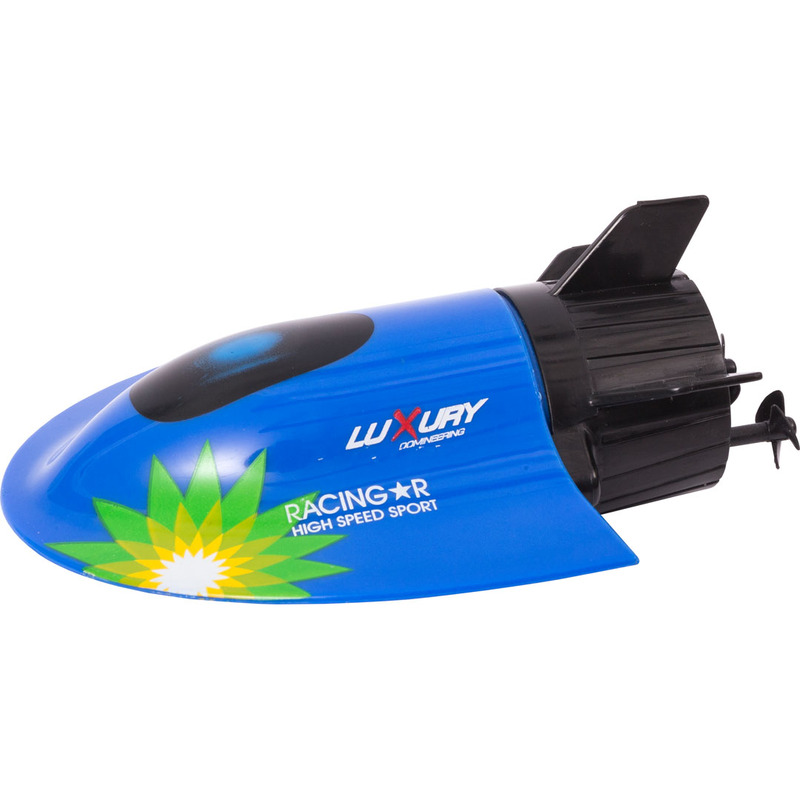 All watercrafts come already assembled in an attractive gift box. 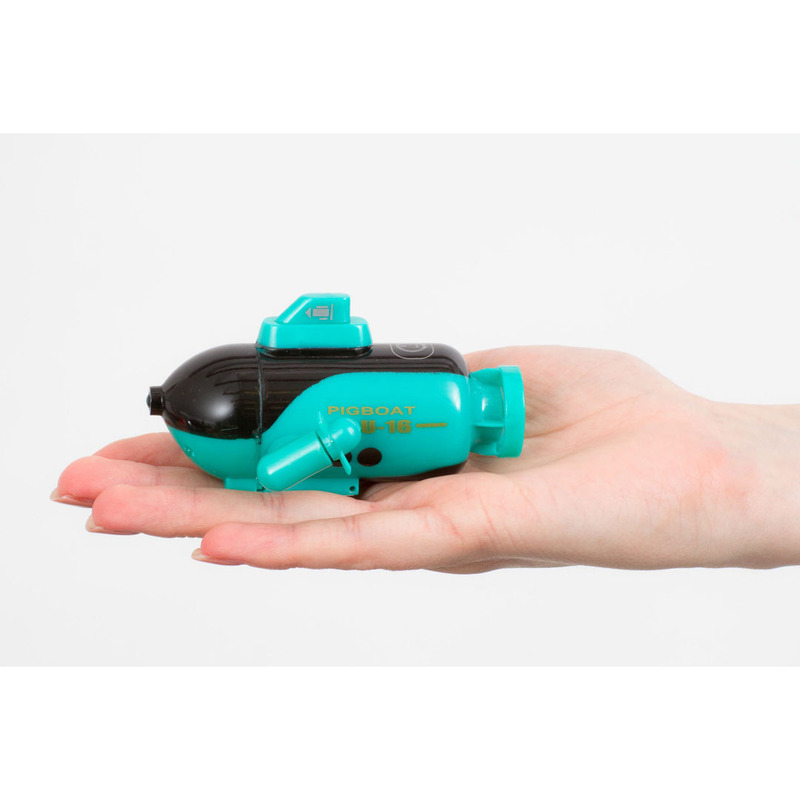 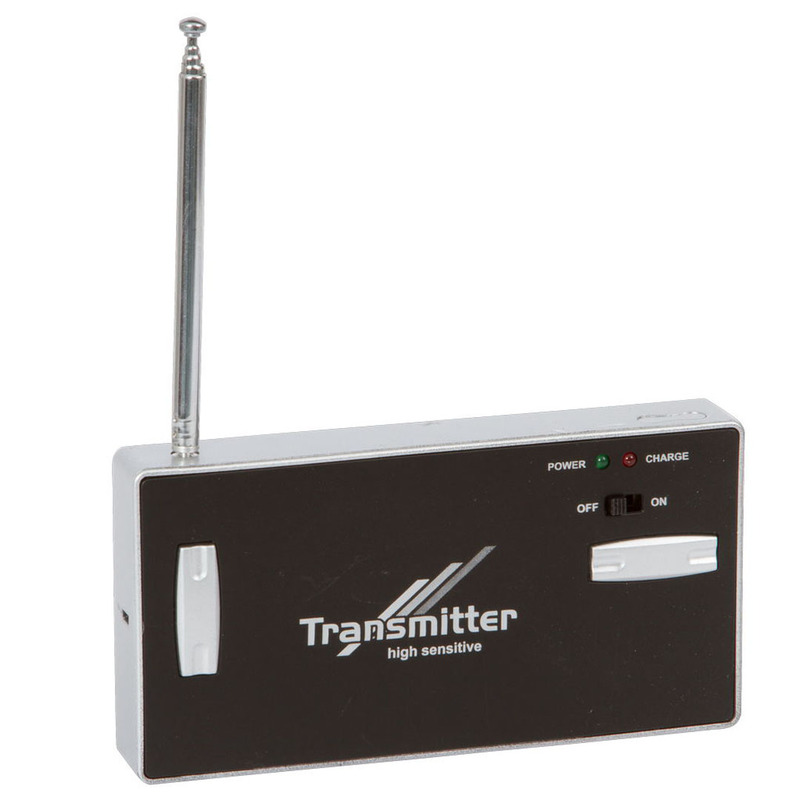 Sub size: L5.5" x W2.1" x H2.2"
Contents: RC Mini Submarine, remote controller with charging cable, battery pack 2.4 V 80 mAh, 2 spare propellers, switch plug, instruction manual.